Locked and loaded with the trademark Rambo arsenal of weapons, you battle through the boss showdowns and take-downs from the films - everything from Rambo’s evading the police in First Blood, to his single, explosive bow strike on Lieutenant Tay in Rambo First Blood Part II, and on to his shredding Russian helicopters with the DShK 12.7mm Heavy Machine Gun in Rambo III. 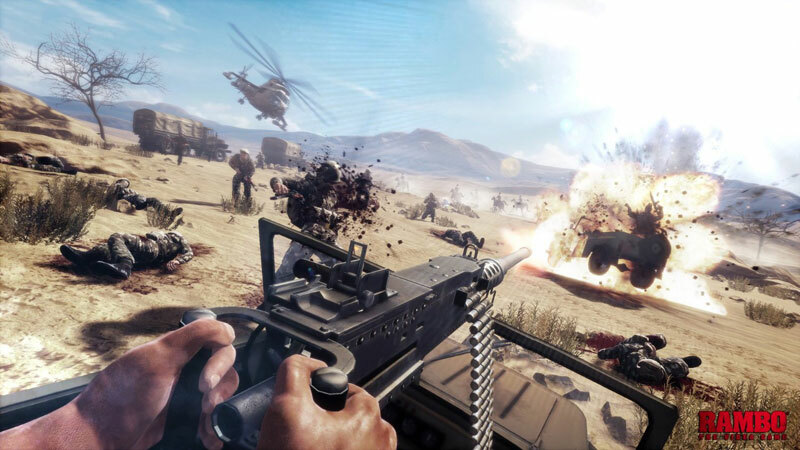 We’d love to think that there was somebody out there that was desperate to play an on-rails version of the first three Rambo films, and that there’s a reason for this game to exist. Sadly, we suspect that that may just be wishful thinking. It’s more likely, then, that the developers thought that a popular name and a cheap budget would turn a profit – and with a boxed product and the promise of DLC on the way, we imagine that it’ll probably make a fortune. 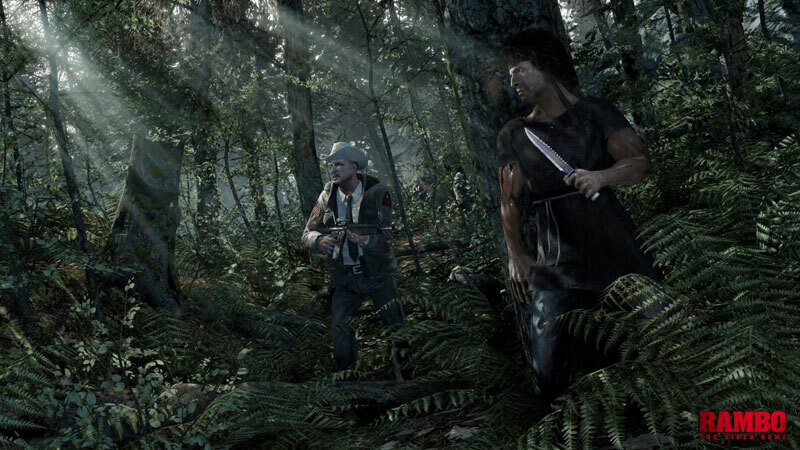 Rambo: The Video Game lacks execution. Underpolished, repetitive, and littered with difficulty spikes, it’s a hard-sell to most gamers and even those who adore the Stallone trilogy. Not only that, it highlights just how out-dated the on-rails genre is even today. Since Time Crisis, Point Blank, and House of the Dead, there have been no real change-ups. That probably explains why most have been relegated to seafront arcades and bowling alleys. 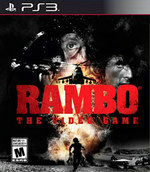 Rambo: The Video Game just disappoints, over and over. There are no new power-ups or twists to keep you interested, no memorable boss fights, and no touches that fans of the film will go "ooh" over. The team at Reef could've done a lot more with this, something along the lines of what Sega did with its arcade Rambo game. Instead, they took the easy way out. Go watch the movies instead. All of the thrill, none of the pain, Johnny. In a bowling alley arcade, circa 1997, a Rambo: The Video Game cabinet replete with a hulking plastic light machine gun smeared with Dorito dust and palm sweat might have been one of the better ways to lose several dollars. 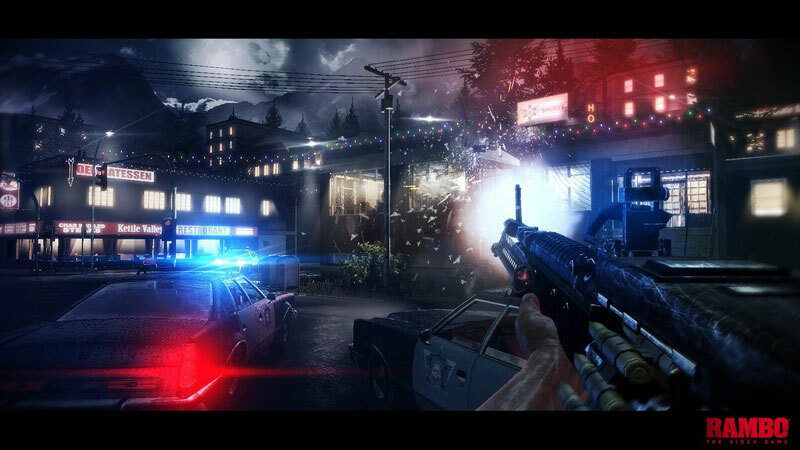 In 2014, the idea of slogging through an entirely scripted, arcade rail-shooter with a mouse or a joypad feels like an unmitigated waste of time for everybody involved. Rambo inspires more anger than biting your tongue just after you’ve stubbed your toe. Imagine 3-4 minutes of horrible cutscenes, followed by 5 minutes of quick time events and 10 minutes of uninspired on-rails shooter. Then imagine the worst possible version of all three, and you've got an idea of what Rambo: The Video Game offers. At the end of the day it was probably a good idea to include "The Video Game" as part of the title, just in case the audience accidentally confuse it with some sort of instrument of torture. 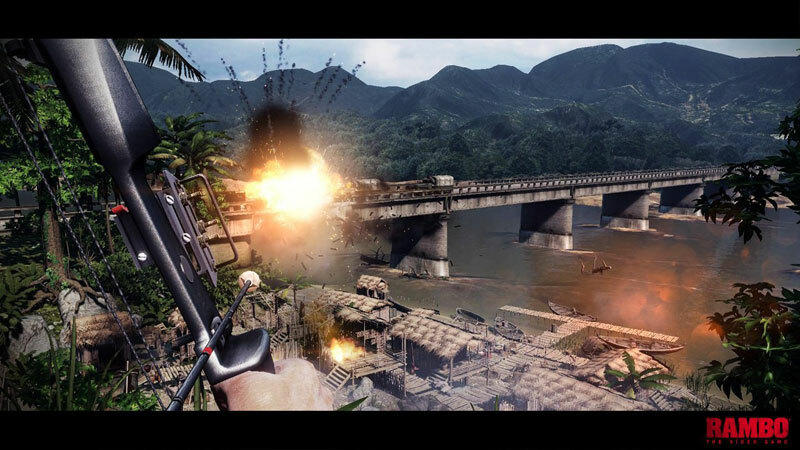 Rambo: El Videojuego es un título que tiene el honor no solo de alargar la sombra de las licencias de cine mal aprovechadas, sino de ser uno de los peores juegos que recordamos en el género de la acción. Controles poco precisos y llenos de fallos, situaciones de Quick Time Events absurdas y momentos de sigilo que parecen de broma. Rambo: The Videogame hace un flaco favor al género de acción sobre raíles. Su nefasto control, su aburrido planteamiento y sus insoportables escenas de acción despertarán en el jugador carcajadas o ira en función de su forma de encajar el haber invertido 30 euros en semejante desatino. No podríamos hacer justicia con palabras a tamaño despropósito, y lo único que debe quedar claro es que este videojuego no merece más tiempo del lector que el que le haya llevado leer este análisis. Es ist Schrott. Es ist plump, die Steuerung versagt häufig genug bei dem Wenigen, das sie leisten muss. Dazu ist es kurz und ein insgesamt eher belangloses Ende minderer Qualität zu einem der beliebteren Running Gags der vergangenen Gamescoms. Eigentlich müsste man an die Bewertung mit einem großen Maß an Ironie und Sarkasmus gehen. Denn ohne Fanbrille wirkt der Titel wie purer Abfall. Doch sowohl das Thema Rail-Shooter als auch die Lizenz-Grundlage liegen mir dafür zu sehr am Herzen. 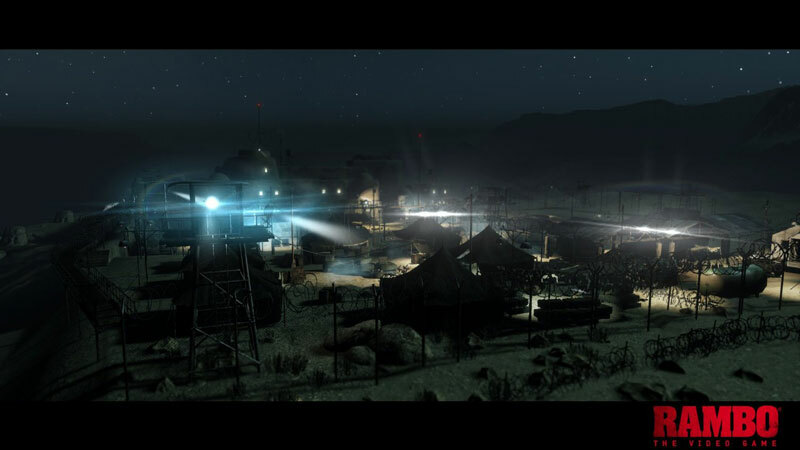 Und aus dieser Perspektive ist Rambo – The Video Game leider eine Enttäuschung, wenngleich man meilenweit von richtigem Action-Müll wie Ride to Hell - Retribution entfernt ist. John Rambo méritait mieux qu'un rail shooter de cette trempe. 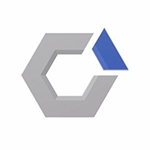 Sur un genre aussi cloisonné au niveau du game design, Teyon a réussi l'exploit de fournir une copie techniquement à la ramasse, servie par un gameplay fade et une difficulté mal calibrée. Et si critiquer le jeu se résume à tirer sur l'ambulance, il ne faut pas oublier que l'ambulance en question vous a volé 36 €. Uno sparatutto su binari che viene fagocitato da lacune davvero pesanti. Tuttavia, per chi ama alla follia il personaggio e il genere, e può giocarlo con una periferica, non è certo quella pandemia ludica che in molti vanno strepitando.